I used to believe the myth that bread was hard to make. I believed it until one day, on a Friday night splurge, I bought this cookbook. The cover was awesome, there were tons of photos illustrating what to do and when I saw a photo of the author (pictured on the right), I knew that it had found its new home. 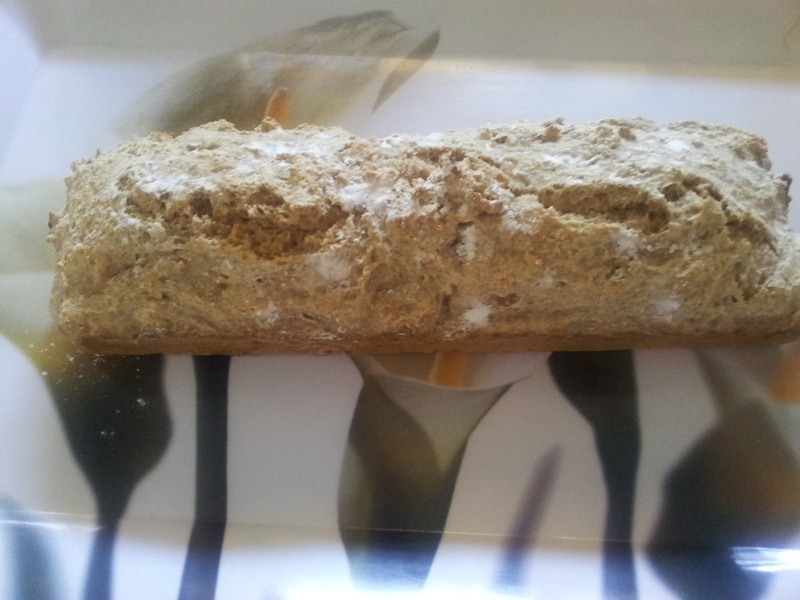 I began with the simplest recipe there was..the soda bread. I was nervous. How would it turn out? Well the above photo shows you and let me tell you, I am no culinary genius. The book is in SPANISH and my bread was wonderful. That means that the recipe is excellent and YOU can do it too. Have a doubt? Get your apron on and surprise yourself! *European cookbooks use grams. I recommend using a kitchen scale! *USE WARM WATER.NOT COLD OR HOT. IT KILLS THE YEAST. Use a rectangular deep baking pan. Lightly butter the pan and dust with flour before getting started mixing. • In a bowl, mix all the ingredients together with your hand. The mixture will be thick but wet. It is normal. The idea of a bread always having to be a dry smooth dough before popping it into the oven is also a myth. • When all the ingredients are well mixed, pour the mixture in the baking pan. The mixture should fill no higher than half of the pan. This bread rises a lot! • Sprinkle the top with a bit of flour and pop it in the oven for 40 minutes. Keep an eye on it and if the top gets brown early, cover it with foil. • Remove from the oven and set on a rack.. Before it cools down completely, remove the bread from the pan and set on the rack to cool. This prevents the bottom from containing too much heat and getting mushy. Use your imagination and have fun! 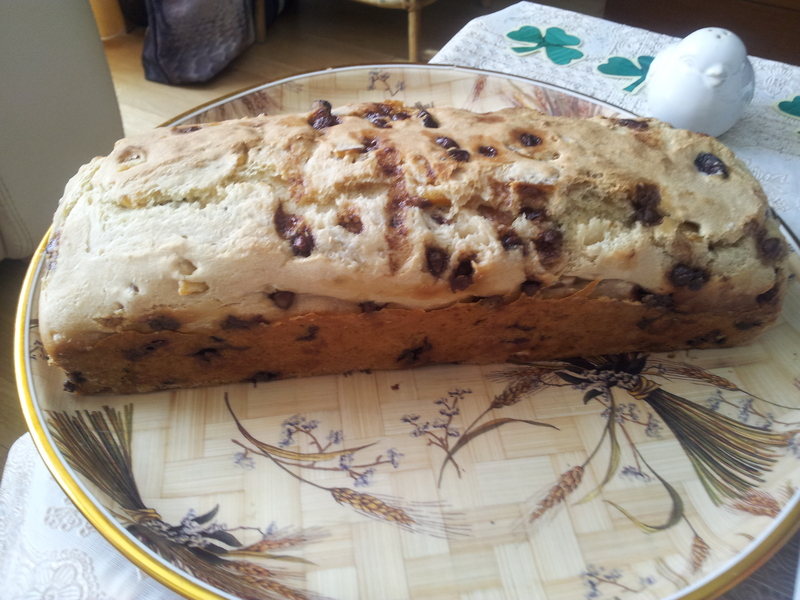 The bread in the above photo has dried orange peel, walnut and dark chocolate chunks. Great with tea!